Please call or text us on 01403 261487 or 07710 900246. Horsham Back Pain Clinic, (Formally Bodycare Clinic k2 Crawley) was set up by the independent practitioner, Steve Palmer. He uses a science-based, experienced (30 years), patient-focused approach. This, therefore, helps in finding effective solutions for patients. Many of them travel from all over the Uk and Europe, with “hard to fix” or “difficult” conditions. Many patients with very difficult or long-term conditions have also been helped. Typically, these problems may have proved otherwise very resistant, to a standard, orthodox approach. Steve has studied in the UK, Europe and extensively in the USA, training in all types of manual therapy and healing. He specialises in Manual Therapy in the Horsham and Sussex area. He is also a Reiki master and “mindfulness” practitioner. Please take a look at the Testimonials or our new Exercise Video page. 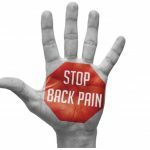 What does Horsham Back Pain Clinic specialise in? Using Acupuncture and Dry Needling with Manual Therapy enhances treatment and provides more effective and inclusive treatment options for patients. Dry needling is used in western medicine, usually as part of manual therapy. 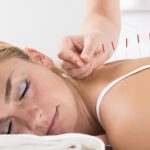 Acupuncture needles are therefore placed in certain areas of the body to release tension and stress. Mindfulness means treating the mind with the body. Our minds, therefore, have a very profound effect on our bodies. This is especially relevant due to the stress of living in the modern world. Whilst we specialise in treating the physical body, many patients also benefit from learning to relax as part of their treatment process. Because, learning how to physically and mentally relax together, we can greatly improve health both physically and mentally. It, therefore, is very useful in any physical treatment process. Horsham Back Pain Clinic - finding effective solutions for you! Comparing Manual Therapy; Osteopathy, Physio(Physical Therapy), and Chiropractic. There is no one answer or magic technique. Only the realisation that different approaches need to be brought together, under one thought process. The Human Body is a very complicated mechanical system of pulleys and levers. This allows movement but requires stability and balance. The human body is also affected by its own chemistry (hormones and other chemicals), thought, feelings and emotion. Environmental input further complicates the human body and the equation of balance, or HEALTH. Imbalance can come from, physical trauma such as an injury and emotional trauma such as stress. Usually, there are physical and emotional problems acting together. The overriding principle is to achieve a balance or Homeostasis. The result of balance is therefore health. Imbalance results in pain, stress, and unhappiness. Typically chiropractors will use what is called “Adjustments”, which are as specific as possible and aimed at restoring joint position and function. Osteopaths typically take a broader approach and may treat a larger area. (Source – google search “difference between chiro and Osteo”). Medical Definition of Physical therapy. Physical therapy: A branch of rehabilitative health that uses specially designed exercises and equipment to help patients regain or improve their physical abilities. Exercises are part of rehabilitation that will help improve movement and most importantly stabilise the body. All 3 approaches are limited, by their definition, as they only address part of the problem. 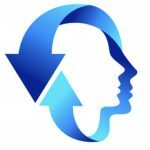 Is Treatment always the same? Treatment is a process, that has stages and changes as we get better. For example, a person in acute pain will need different care and advice from start, compared to finish. As a result, treatment always changes as the goals change. Advanced Manual Therapy is the understanding of the body through mathematics and science. It is not just doing one thing or wiggling it around, stretching and “cracking” it. Doing one thing, such as spinal manipulation, may affect a body but will not resolve the forces it is subjected to. We have to understand what each part of the body does and how mechanical forces, affect them. Firstly, for every force, there is an equal and opposite one. Secondly, things stay the same unless those things are acted upon. Thirdly, to move something you have to overcome resistance or inertia. If you are wondering where these laws are from you can thank a Guy called Newton and his 4 Laws of Motion. Newton’s laws of motion are three physical laws that, together, laid the foundation for classical mechanics. They describe the relationship between a body and the forces acting upon it, and its motion in response to those forces. More precisely, the first law defines the force qualitatively, the second law offers a quantitative measure of the force, and the third asserts that a single isolated force doesn’t exist. (Wikipedia). At Horsham Back Pain Clinic, we are just trying to understand and apply these laws. There are other laws such as Friction, Drag, Elasticity, and Gravity, but let’s not look at those right now. A simple example is neck pain. The muscles of the neck hold the head up and allow the neck and head to move. They are muscles at the back, front, and both sides. The muscles of the back of the neck can become tight because of stress and tension. This can cause headaches and a chronic pain in the back of the neck. The muscles at the back of the neck straighten you up, so when they contract, they are contracting against what is pulling you forward. We treat what is pulling you forward. SIMPLE. Massaging and Cracking your neck relax your neck muscles but do not treat what is pulling you forward. The muscles of the neck also work with the respiratory muscles, helping to breathe in and out. There is also a link with the scalp and Jaw Muscles. All these muscles of the body must work together and balance. We also have the whole body, bones, joints, ligaments, tendons………….